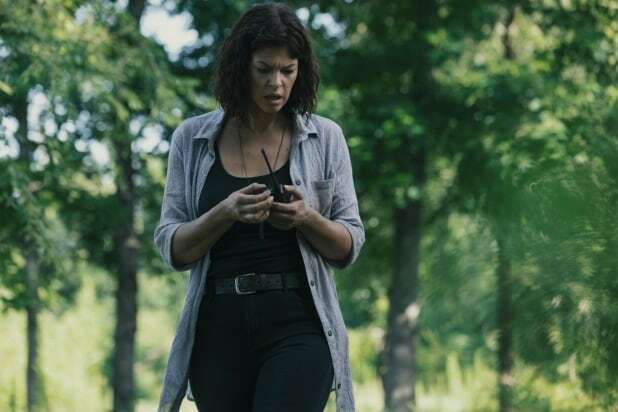 It’s been about a year since we first saw the mysterious helicopter on “The Walking Dead” that has been making us crazy ever since, and this week, in the fifth episode of the season, it actually became a major part of the plot. Seriously, after teasing us with it for more than a year, “The Walking Dead” finally put the helicopter front and center by having it play a part in the shocking survival of Rick Grimes (Andrew Lincoln). AMC has been playing up for months Lincoln’s imminent exit from the series, which most of us generally assumed meant that Rick would die. But he didn’t, thanks to the subplot of Jadis and the mysterious helicopter finally coming to a head. Also Read: 'Walking Dead': Who Is Magna and Her New Group of Survivors? It turns out this development for Rick is part of a new content plan for AMC and the “Walking Dead” dead franchise. 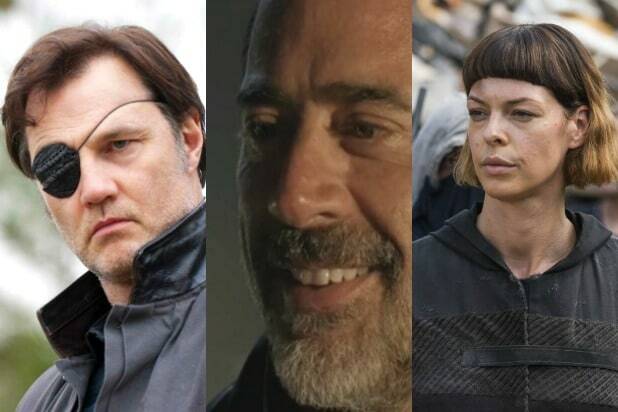 Franchise Chief Content Officer Scott Gimple went on the “Talking Dead” aftershow on AMC to announce that we’ll find out what happens next for Rick and Jadis in a series of movies for AMC. Gimple also stressed that Rick will not appear on the main series again. So let’s talk about where this might go real quick, and what we actually know about this helicopter. After blowing up the bridge and sending himself and a bunch of dead zombies down the river, Rick somehow managed to wash up on shored right next to where Jadis was waiting on the helicopter. And Jadis managed to convince the helicopter pilot to try to save Rick. And it appears they were able to do that, as the last shot of Rick shows him hooked up to what looks like modern medical equipment. And yet, after all that, we still know very little about what that helicopter’s deal is. And since this helicopter is an element that is original to the TV show version of “The Walking Dead,” all we’re able to do is make guesses. But before we do that, let’s look back at what we actually do know about it, by remembering what happened in the previous two episodes. Two weeks ago: Jadis, coming under suspicion for the murder of one of the Saviors, revisits the junkyard and retrieves a radio with which she contacts, seemingly, whoever was flying the helicopter. This has two purposes — she wants to find out if the helicopter people are responsible for the other Savior disappearances, and she also wants to get out and go to wherever the helicopter came from. So Jadis is asking here if they’d been kidnapping people. The guy on the other end says no, but then apparently asks her if she had someone to hand over to them. She says no, but then seems to be asking if they can come get just her and take her away. The man denies the request, saying that she had already been paid for services rendered in the past. Jadis’ interactions with Gabriel immediately after shed some light on all that. Jadis admits she had been involved in human trafficking on behalf of whoever was on the other end of that radio call, and had intended to hand over Rick and the others that they captured when Rick tried to get the Scavengers to help with the war against the Saviors last year. Jadis says she did that sort of thing in exchange for supplies. It’s unclear, though, what exactly the arrangement was, and of course the identity of the people who sent that helicopter out remains unknown. But when Jadis makes her plea to Gabriel that he help her make a deal with those folks, she gives some hints. In my mind, that description sounds very much like the Commonwealth of the comics, which a lot of fans have long suspected is the owner of the helicopter. The Commonwealth, in case you aren’t up on this discussion, is an actual city in Ohio where at least 50,000 people live, with a standard of living more similar to the pre-apocalypse than to the life folks have in Alexandria and the Hilltop now. It’s important to remember here that the helicopter appeared to have modern medical equipment on it that is good enough to keep Rick from dying. The other big question we all have after watching that scene is the “Will you have an A or a B” thing. It’s clearly referring to some categorizations of people, but it’s not clear what the categorizations mean. It’s not a predetermined list, judging by Jadis’ “I thought you were a B” comment to Gabriel before knocking him out at the end of the scene. It’s worth noting, also, that when she pleads with the helicopter pilot to save Rick, she refers to him as a B as well. The brief moments we got with Jadis and Gabriel last week made that terminology more confusing, as it appeared that Jadis was about to have a zombie bite Gabriel as she referred to him as her “ticket” to wherever the place she’s trying to get to is. Why would the helicopter people want a zombie that badly? Surely they could find some on their own, even if what they really need is a fresh one. If she needed an “A” and a zombified Gabriel qualifies, then it becomes really tough to guess what the game is here. My initial guess last week was that it’s referring to people who are willing (Bs) to go with the helicopter and people who aren’t (As). Jadis might have thought Gabriel was a B because she figured he would want to run away with her. But since he said no, she switched him to an A. But that doesn’t quite jive with the idea that Jadis would be required to kidnap somebody and, apparently, turn them into a zombie to get into whatever that other place is. Unless the man on the radio was making that demand as some kind of rite of passage? Like an initiation thing? Who knows. What’s particularly interesting from this week’s bit with the helicopter is that even though the pilot’s voice sounds very menacing and all of this had previously seemed to indicate they were up to something bad, they apparently were okay with devoting medical resources to saving Rick even though that wasn’t the agreement Jadis had made with him. It’s always possible that the helicopter people have some nefarious motivations even so, but for now, we’re still left guessing. But with these new Rick-focused movies on the way, it sounds like we’re going to find out what’s happening here sometime next year.